Our special thanks to Amy and her team from executive lounge, for the professional and warmest services. We really enjoyed the weekend at Sofitel, will come back again! Excellent service, but below average room setting and in-room amenities. Poor location for business. A good setting and large property for family holiday. Happy hour at the club lounge ending 7 pm is too short. Very nice bedroom, very friendly staff, great breakfast buffet. Plus, I was lucky that my room was available for an early check-in, which I appreciated a lot after a long flight. I stayed one week for a business travel in this Sofitel and it was again a great stay. There are plenty of services offered to make a long stay very comfortable such as pool, spa, sauna, restaurants, etc. The employees are very friendly and helpful. No matter for which question the whole team is taking everything saeriuos and solving topics very fast. Especially thanks to the team of executive floor, leading by Amy who is very detailed to provide professional services to Accor members. I am happy to see Amy's team achieved a great result in 2018, with many positive feedbacks! Great hotel overall with extremely nice service in the club lounge. Great hotel overall with extremely nice service in the club lounge. Especially, those young workers working in the club lounge are excellent, names such as June, and a few more student interns. 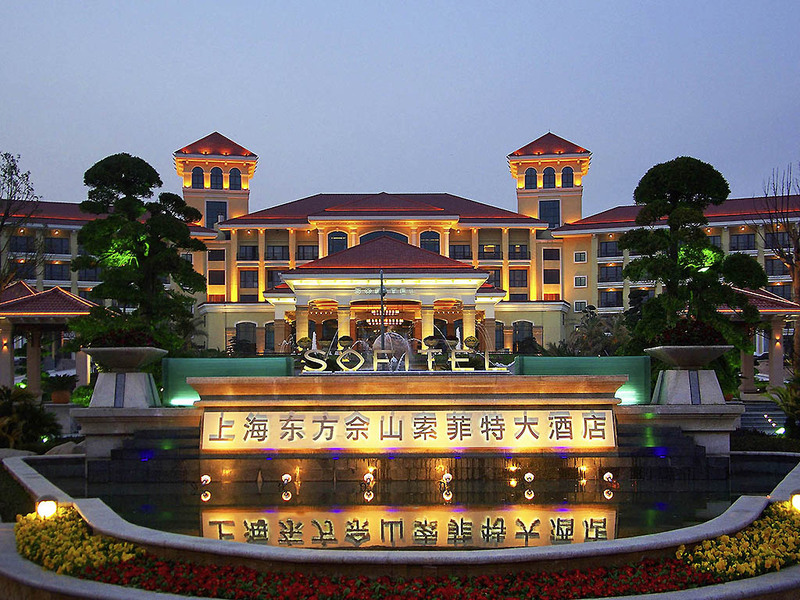 Great stay in Sofitel Sheshan as usual!! Great stay as usual! Friendly people, great service, everything great! Big thank you to the team: Elain, Kingdon, Mary Lin, Lareina, Shawn, and all the others! nice hotel, good service, and nice stay. nice hotel, good service, and nice stay. especially thanks for Jenny for the nice check in. Martell cognac Party Desaster instead of family retreat weekend! 4 th time there. With the experience this time, for sure, was the last time. How to setup in a family orientated hotel a club party when the hotel is full with babies and children is out of my range of understanding. The 5 points above, only because of the service staff. Pool facility and foods at restaurant are best ! I was much satisfied with dinner/coctail time at lounge. And I was much un-satisfied wiht check-in. I did not know that I could check-in at lounge, becuase I stayed at sweet room. I asked bell boy at lobby for the check-in, but he did not inform me the check-in service at lounge even if I already taled with him for the fact of staying sweet room. Thus, I had to wait to do check-in around 30minutes at flont desk. Good service and friendly staff, especially Duty Manager Kingdon, who was very patient and professional. Michelle from reception was very friendly even we didn't get the room when we arrival at the afternoon, Club lounge staff as very polite and focus on guest's need. The room was big and the poor was wonderful for children in summer. Will come back for sure. The room is spacious however the details are not good enough. The shampoo set is branded Hermes but the date of manufacture is 2 years ago.... The beach and swimming pool is amazing! very nice and great team. great stay in Sofitel Sheshan. Thanks to the whole team especially to Sunny, Elain and all the colleagues. The hotel overall is not bad, spacious and nicely decorated But service level can be improved, and the room was slightly dusty.